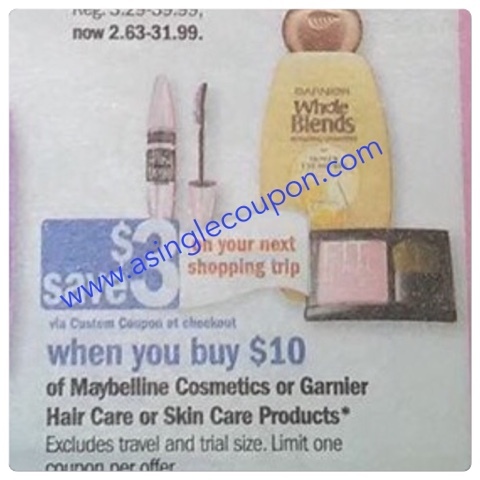 Meijer: Garnier Deal starting 5/1/16! Now I know you are all loving the Garnier deal's that have been going on for the past 6 weeks! Starting Sunday 5/1/16 there will be a $3 catalina printing when you buy $10 worth of Maybelline Cosmetics or Garner Hair Care or Skin Care Products! There is a potential double dip with the current catalina which is buy 5 Garnier hair care items and get a $5 catalina back.